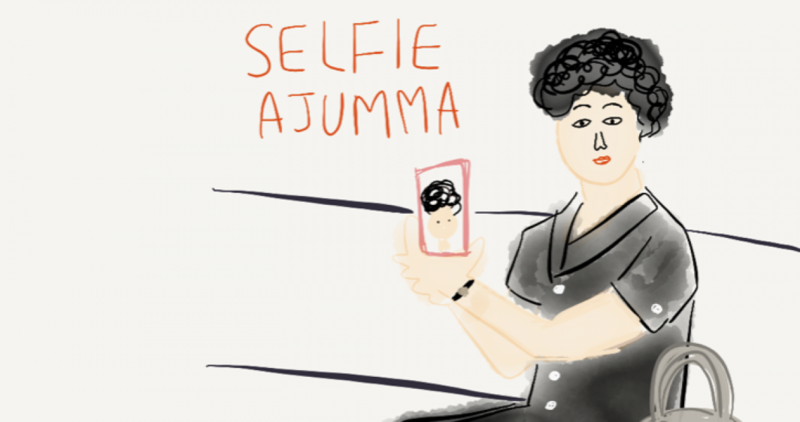 The ajumma is one of the most misunderstood categories in Korean culture. Roughly translated as a woman that is married and middle-aged, the ajumma is one of the most stigmatized demographics in Korea today. This thesis seeks to undercover some of the complex ways in which we might redefine the ajumma as a woman that has played a pivotal role in Korean culture post IMF bailout in 1997. Through exploring ajummas as new media users, this thesis not only seeks to debunk the stereotypes around the category but also to provide a more nuanced study of gendered new media practice beyond the young-new media “digital natives” conflation in one of the countries lauded for new media innovation, Korea. This thesis deploys an interdisciplinary model of the research that combines academic practices (e.g. a dissertation) and creative practices (e.g. Digital Ppal-let-ter video project). Next Next post: 왜 아줌마 인가?